"Montreal Expo" redirects here. For the former baseball team, see Montreal Expos. The 1967 International and Universal Exposition or Expo 67, as it was commonly known, was a general exhibition, Category One World's Fair held in Montreal, Quebec, Canada, from April 27 to October 29, 1967. It is considered to be the most successful World's Fair of the 20th century  with the most attendees to that date and 62 nations participating. It also set the single-day attendance record for a world's fair, with 569,500 visitors on its third day. After Expo 67 ended in October 1967, the site and most of the pavilions continued on as an exhibition called Man and His World, open during the summer months from 1968 until 1984. By that time, most of the buildings — which had not been designed to last beyond the original exhibition — had deteriorated and were dismantled. Today, the islands that hosted the world exhibition are mainly used as parkland and for recreational use, with only a few remaining structures from Expo 67 to show that the event was held there. The idea of hosting the 1967 World Exhibition dates back to 1956, but it was in 1958 that Conservative Senator Mark Drouin suggested during his speech at the Brussels Exhibition that Canada should host a World Exhibition to celebrate its centennial. The exposition was offered first to Toronto but politicians there rejected the idea. However, Montreal's mayor, Sarto Fournier, backed the proposal, allowing Canada to make a bid to the Bureau International des Expositions (BIE). At the BIE's May 5, 1960 meeting in Paris, Moscow was awarded the fair after five rounds of voting that eliminated Austria's and then Canada's bids. In April 1962, the Soviets scrapped plans to host the fair because of financial constraints and security concerns. Montreal's new mayor, Jean Drapeau, lobbied the Canadian government to try again for the fair, which they did. On November 13, 1962, the BIE changed the location of the World Exhibition to Canada, and Expo 67 went on to become the fourth-best attended BIE-sanctioned world expositions, after Shanghai, Osaka, and Paris. Several sites were proposed as the main Expo grounds. One location that was considered was Mount Royal Park, to the north of the downtown core. But it was Drapeau's idea to create new islands in the St. Lawrence river, and to enlarge the existing Saint Helen's Island. The choice overcame opposition from Montreal's surrounding municipalities, and also prevented land speculation. Expo did not get off to a smooth start; in 1963, many top organizing committee officials resigned. The main reason for the resignations was Mayor Drapeau's choice of the site on new islands to be created around the existing St. Helen's Island and also that a computer program predicted that the event could not possibly be constructed in time. Another more likely reason for the mass resignations was that on April 22, 1963, the federal Liberal government of Prime Minister Lester Pearson took power. This meant that former Prime Minister John Diefenbaker's Progressive Conservative government appointees to the board of directors of the Canadian Corporation for the 1967 World Exhibition were likely forced to resign. Canadian diplomat Pierre Dupuy was named Commissioner General, after Diefenbaker appointee Paul Bienvenu resigned from the post in 1963. One of the main responsibilities of the Commissioner General was to attract other nations to build pavilions at Expo. Dupuy would spend most of 1964 and 1965 soliciting 125 countries, spending more time abroad than in Canada. Dupuy's 'right-hand' man was Robert Fletcher Shaw, the deputy commissioner general and vice-president of the corporation. He also replaced a Diefenbaker appointee, C.F. Carsley, Deputy Commissioner General. Shaw was a professional engineer and builder, and is widely credited for the total building of the Exhibition. Dupuy hired Andrew Kniewasser as the general manager. The management group became known as Les Durs - the tough guys - and they were in charge of creating, building and managing Expo. Les Durs consisted of: Jean-Claude Delorme, Legal Counsel and Secretary of the Corporation; Dale Rediker, Director of Finances; Colonel Edward Churchill, Director of Installations; Philippe de Gaspé Beaubien, Director of Operations, dubbed "The Mayor of Expo"; Pierre de Bellefeuille, Director of Exhibitors; and Yves Jasmin, Director of Information, Advertising and Public Relations. To this group the chief architect Édouard Fiset was added. All ten were honoured by the Canadian government as recipients of the Order of Canada, Companions for Dupuy and Shaw, Officers for the others. Jasmin wrote a book, in French, La petite histoire d'Expo 67, about his 45-month experience at Expo and created the Expo 67 Foundation (available on the web site under that name) to commemorate the event for future generations. In Terre des Hommes, his haunting book, so filled with dreams and hopes for the future, Antoine de Saint-Exupéry writes of how deeply moved he was when, flying for the first time by night alone over Argentina, he happened to notice a few flickering lights scattered below him across an almost empty plain. They "twinkled here and there, alone like stars...." In truth, being made aware of our own solitude can give us insight into the solitude of others. It can even cause us to gravitate towards one another as if to lessen our distress. Without this inevitable solitude, would there be any fusion at all, any tenderness between human beings. Moved as he was by a heightened awareness of the solitude of all creation and by the human need for solidarity, Saint-Exupéry found a phrase to express his anguish and his hope that was as simple as it was rich in meaning; and because that phrase was chosen many years later to be the governing idea of Expo 67, a group of people from all walks of life was invited by the Corporation to reflect upon it and to see how it could be given tangible form. Du Pont Auditorium of Canada: The philosophy and scientific content of theme exhibits were presented and emphasized in this 372 seat hall. Man the Creator: The Gallery of Fine Arts; Contemporary Sculpture; Industrial Design; Photography. Man the Producer: Resources for Man; Man in Control; Progress. Construction started on August 13, 1963, with an elaborate ceremony hosted by Mayor Drapeau on barges anchored in the St. Lawrence River. Ceremonially, construction began when Prime Minister Lester B. Pearson pulled a lever that signalled a front-end loader to dump the first batch of fill to enlarge Saint Helen's Island,[Note 1] and Quebec premier Jean Lesage spread the fill with a bulldozer. The 25 million tons of fill needed to construct the islands was coming from the Montreal Metro's excavations, a public works project that was already under construction before Expo was awarded to Montreal. Expo's initial construction period mainly centred on enlarging Saint Helen's Island, creating the artificial island of Notre Dame Island and lengthening and enlarging the Mackay Pier which became the Cité du Havre. While construction continued, the land rising out of Montreal harbour was not owned by the Expo Corporation yet. After the final mounds of earth completed the islands, the grounds that would hold the fair were officially transferred from the City of Montreal to the corporation on June 20, 1964. This gave Colonel Churchill only 1042 days to have everything built and functioning for opening day. To get Expo built in time, Churchill used the then new project management tool known as the critical path method (CPM). On April 28, 1967, opening day, everything was ready, with one exception: Habitat 67, which was then displayed as a work in progress. Building and enlarging the islands, along with the new Concorde Bridge built to connect them with the site-specific mass transit system known as the Montreal Expo Express, plus a boat pier, cost more than the Saint Lawrence Seaway project did only five years earlier: this was even before any buildings or infrastructure were constructed. With the initial phase of construction completed, it is easy to see why the budget for the exhibition was going to be larger than anyone expected. In the fall of 1963, Expo's general manager, Andrew Kniewasser, presented the master plan and the preliminary budget of $167 million for construction: it would balloon to over $439 million by 1967. The plan and budget narrowly passed a vote in Pearson's federal cabinet, passing by one vote, and then it was officially submitted on December 23, 1963. A stylized M (for Montreal) can be seen in each of the eight elements of the expo logo. The logo was designed by Montreal artist Julien Hébert. The basic unit of the logo is an ancient symbol of man. Two of the symbols (pictograms of "man") are linked as to represent friendship. The icon was repeated in a circular arrangement to represent "friendship around the world". The logotype is lower-case Optima font. It did not enjoy unanimous support from federal politicians, as some of them tried to kill it with a motion in the Canadian House of Commons. The official Expo 67 theme song was composed by Stéphane Venne and was titled: "Hey Friend, Say Friend/Un Jour, Un Jour". Complaints were made about the suitability of the song, as its lyrics mentioned neither Montreal nor Expo 67. The song was selected from an international competition with over 2,200 entries from 35 countries. However, the song that most Canadians associate with Expo was written by Bobby Gimby, a veteran commercial jingle writer who composed the popular Centennial tune "Ca-na-da". Gimby earned the name the "Pied Piper of Canada". The theme song "Something to Sing About", used for the Canadian pavilion, had been written for a 1963 television special. The Ontario pavilion also had its own theme song: "A Place to Stand, A Place to Grow", which has evolved to become an unofficial theme song for the province. Expo 67 opened to the public on the morning of Friday, April 28, 1967, with a space age-style countdown. A capacity crowd at Place d'Accueil participated in the atomic clock-controlled countdown that ended when the exhibition opened precisely at 9:30 a.m. EST. An estimated crowd of between 310,000 and 335,000 visitors showed up for opening day, as opposed to the expected crowd of 200,000. The first person through the Expo gates at Place d'Accueil was Al Carter, a 41-year-old jazz drummer from Chicago, who was recognized for his accomplishment by Expo 67's director of operations Philippe de Gaspé Beaubien. Beaubien presented Carter with a gold watch for his feat. On opening day, there was considerable comment on the uniform of the hostesses from the UK Pavilion. The dresses had been designed to the then-new miniskirt style, popularized a year earlier by Mary Quant. In conjunction with the opening of Expo 67, the Canadian Post Office Department issued a 5¢ stamp commemorating the fair, designed by Harvey Thomas Prosser. 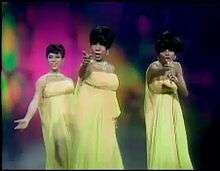 The Supremes (L to R: Florence Ballard, Mary Wilson, and Diana Ross) performing "The Happening", broadcast live from Expo 67 on The Ed Sullivan Show on Sunday, May 7, 1967. The World Festival of Art and Entertainment at Expo 67 featured art galleries, opera, ballet and theatre companies, orchestras, jazz groups, famous Canadian pop musicians and other cultural attractions. Many pavilions had music and performance stages, where visitors could find free concerts and shows. Most of the featured entertainment took place in the following venues: Place des Arts, Expo Theatre, Place des Nations, La Ronde, and Automotive Stadium. The La Ronde amusement park was always intended to be a lasting legacy of the fair. Most of its rides and booths were permanent. When the Expo fairgrounds closed nightly, at around 10:00 p.m., visitors could still visit La Ronde, which closed at 2:30 a.m. In addition, The Ed Sullivan Show was broadcast live on May 7 and May 21 from Expo 67. Stars on the shows included America's The Supremes, Britain's Petula Clark and Australia's The Seekers. Another attraction was the Canadian Armed Forces Tattoo 1967 at the Autostad in Montreal. The fair was visited by many of the most notable people of the day, including Canada's monarch, Queen Elizabeth II, Lyndon B. Johnson, Princess Grace of Monaco, Jacqueline Kennedy, Robert F. Kennedy, Ethiopia's emperor Haile Selassie, Charles de Gaulle, Bing Crosby, Harry Belafonte, Maurice Chevalier, Maharishi Mahesh Yogi and Marlene Dietrich. Musicians like Thelonious Monk, Grateful Dead, Tiny Tim, The Tokens and Jefferson Airplane entertained the crowds. In September, the most serious problem turned out to be a 30-day transit strike. By the end of July, estimates predicted that Expo would exceed 60 million visitors, but the strike cut deeply into attendance and revenue figures, just as the fair was cruising to its conclusion. Another major problem, beyond the control of Expo's management, was guest accommodation and lodging. Logexpo was created to direct visitors to accommodations in the Montreal area, which usually meant that visitors would stay at the homes of people they were unfamiliar with, rather than traditional hotels or motels. The Montreal populace opened their homes to thousands of guests. Unfortunately for some visitors, they were sometimes sent to less than respectable establishments where operators took full advantage of the tourist trade. Management of Logexpo was refused to Expo and was managed by a Quebec provincial authority. Still, Expo would get most of the blame for directing visitors to these establishments. But overall, a visit to Expo from outside Montreal was still seen as a bargain. Expo 67 closed on Sunday afternoon, October 29, 1967. The fair had been scheduled to close two days earlier, however a two-day extension granted by the International Exhibitions Bureau allowed it to continue over the weekend. On the final day 221,554 visitors added to the more than 50 million (50,306,648) that attended Expo 67 at a time when Canada's population was only 20 million, setting a per-capita record for World Exhibition attendance that still stands. Starting at 2:00 p.m., Expo Commissioner General Pierre Dupuy officiated over the medal ceremony, in which participating nations and organizations received gold and silver medallions, and over the ceremony in which national flags were lowered in the reverse order to which they had been raised, with Canada's flag lowered first and Nigeria's lowered last. After Prime Minister Pearson doused the Expo flame, Governor General Michener closed Expo at Place des Nations with the mournful spontaneous farewell: "It is with great regret that I declare that the Universal and International Exhibition of 1967 has come to an official end." All rides and the minirail were shut down by 3:50 p.m., and the Expo grounds closed at 4:00 p.m., with the last Expo Express train leaving for Place d'Accueil at that time. A fireworks display, that went on for an hour, was Expo's concluding event. Expo performed better financially than expected. Expo was intended to have a deficit, shared between the federal, provincial and municipal levels of government. Significantly better-than-expected attendance revenue reduced the debt to well below the original estimates. The final financial statistics, in 1967 Canadian dollars, were: revenues of $221,239,872, costs of $431,904,683, and a deficit of $210,664,811. USSR Pavilion: the Expo 67 Soviet pavilion was disassembled after the fair closed, and moved to Moscow to become the part of All-Russia Exhibition Centre. Ontario, Canada and Western Provinces pavilions. Barbados, Canada, Cuba, Grenada, Haiti, Jamaica, Mexico, Trinidad and Tobago, and the United States. Countries conspicuously absent were Spain, South Africa, the People's Republic of China, and many South American countries. Place des Nations as it appeared in 2006. After 1967, the exposition struggled for several summer seasons as a standing collection of international pavilions known as "Man and His World". However, as attendance declined, the physical condition of the site deteriorated, and less and less of it was open to the public. After the 1971 season, the entire Notre Dame Island site closed and three years later completely rebuilt around the new rowing and canoe sprint (then flatwater canoeing) basin for Montreal's 1976 Summer Olympics. Space for the basin, the boathouses, the changing rooms and other buildings was obtained by demolishing many of the former pavilions and cutting in half the area taken by the artificial lake and the canals. In 1976, a fire destroyed the acrylic outer skin of Buckminster Fuller's dome, and the previous year the Ontario pavilion was lost due to a major fire. With the site falling into disrepair, and several pavilions left abandoned and vandalized, it began to resemble ruins of a futuristic city. In 1980 the Notre Dame Island site was reopened (primarily for the Floralies) making both islands simultaneously accessible again, albeit only for a brief time. Minor thematic exhibitions were held at the Atlantic pavilion and Quebec pavilion (and continued even several years beyond). After the 1981 season, the Saint Helen's Island site permanently closed, shutting out the majority of attractions. Man and His World was able to continue in a limited fashion with the small number of pavilions left standing on Notre Dame Island. However, the few remaining original exhibits closed permanently in 1984. After the Man and His World summer exhibitions were discontinued, with most pavilions and remnants demolished between 1985 and 1986, the former site for Expo 67 on Saint Helen's Island and Notre Dame Island was incorporated into a municipal park run by the city of Montreal. 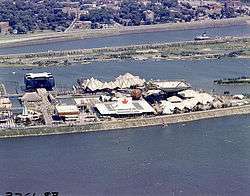 In 2000, the park was renamed from Parc des Îles to Parc Jean-Drapeau, after Mayor Jean Drapeau, who had brought the exhibition to Montreal. 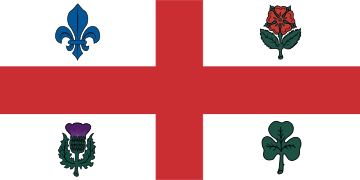 In 2006, the corporation that runs the park also changed its name from the Société du parc des Îles to the Société du parc Jean-Drapeau. Today very little remains of Expo but two prominent buildings remain in use on the former Expo grounds: the American pavilion's metal-lattice skeleton from its Buckminster Fuller dome, now enclosing an environmental sciences museum called the Montreal Biosphère; and Habitat 67, now a condominium residence. Also, the French and Quebec pavilions now form the Montreal Casino. La Toundra Hall is part of the surviving structural remains of the Canadian pavilion. It is now a special events hall with dining facilities available, while another part of the pavilion serves as the administration building of Parc Jean-Drapeau (Katimavik's distinctive inverted pyramid and much of the rest of the Canadian pavilion were dismantled during the 1970s). Place des Nations, where the opening and closing ceremonies were held, remains however in an abandoned and deteriorating state. The Jamaican, Tunisian and Korean pavilion (roof only) and the CIBC banking centre also survive. In Cite du Havre the Expo Theatre, Administration and Fine Arts buildings remain. Other remaining structures include sculptures, lampposts and landscaping. The Montreal Metro subway station Berri Uqam still has an old "Man and His World" logo and welcome sign above the pedestrian tunnel entrance to the yellow line. La Ronde survives, and since 2001 it has been leased to the New York amusement park company Six Flags. The Alcan Aquarium built for the Expo remained in operation for a number of decades until its closure in 1991. The Expo 67 parking lot was converted into Victoria STOLport, an experimental short-take off airport for a brief time in the 1970s. The former Expo 67 American Pavilion became the Montreal Biosphère, an environmental museum on Saint Helen's Island. Another attraction on today's Notre Dame Island site is the Circuit Gilles Villeneuve race track that is used for the Canadian Grand Prix. The Olympic basin is used by many local rowing clubs. A beach was built on the shores of the remaining artificial lake. There are many acres of parkland and cycle paths on both Saint Helen's Island and the western tip of Notre Dame Island. The site has been used for a number of events such as a BIE-sponsored international botanical festival, Les floralies. The young trees and shrubs planted for Expo 67 are now mature. The plants introduced during the botanical events have flourished also. In a political and cultural context, Expo 67 was seen as a landmark moment in Canadian history. In 1968, as a salute to the cultural impact the exhibition had on the city, Montreal's Major League baseball team, the Expos (now the Washington Nationals), was named after the event. 1967 was also the year that invited Expo guest Charles De Gaulle, on July 24, addressed thousands at Montreal City Hall by yelling out the now famous words: "Vive Montréal... Vive le Québec... Vive le Québec Libre!" (See Vive le Québec libre speech). De Gaulle was rebutted in Ottawa by Prime Minister Lester B. Pearson: "Canadians do not need to be liberated, Canada will remain united and will reject any effort to destroy her unity." In the years that followed, the tensions between the English- and French-speaking communities would continue. As an early 21st-century homage to the fair, satirists Bowser and Blue wrote a full-length musical set at Expo 67 called The Paris of America, which ran for six sold-out weeks at Centaur Theatre in Montreal in April and May 2003. Expo 67 was one of the most successful World Exhibitions, and is still regarded fondly by Canadians. In Montreal, 1967 is often referred to as "the last good year" before economic decline, Quebec sovereignism (seen as negative from a federalist viewpoint), deteriorating infrastructure and political apathy became common. In this way, it has much in common with the 1964-65 New York World's Fair. In 2007, a new group, Expo 17, was looking to bring a smaller-scale — BIE sanctioned — exposition to Montreal for Expo 67's 50th anniversary and Canada's sesquicentennial in 2017. Expo 17 hoped a new world's fair would regenerate the spirit of Canada's landmark centennial project. • An episode of the 1970s television series Battlestar Galactica, "Greetings from Earth Part 2", was filmed at the Expo site in 1979. The Expo structures were used to represent a city on an alien world where the people had all been killed by a long-ago war. • The 1979 film Quintet, was shot entirely on the site of Expo during winter months, using abandoned pavilions and other ruins to portray a post-apocalyptic landscape. ↑ Although Saint Helen's Island was the main island, and would become the name of islands in the archipelago, the earth-fill was dumped on what was then Île Ronde, site of the future amusement park La Ronde. ↑ During the original 1967 CBC broadcast, reporter Lloyd Robertson mentioned the estimated audience numbers on air. ↑ OECD (2008). Local Economic and Employment Development (LEED) Local Development Benefits from Staging Global Events. OECD Publishing. p. 54. ISBN 9264042075. ↑ "Bid to hold the world's fair in Montreal". Expo 67 Man and His World. Library and Archives Canada. 2007. Retrieved 2007-06-14. ↑ "Briefly". The Globe and Mail. Toronto. 1967-04-16. p. 31. ↑ Fulford, Robert (1968). Remembering Expo: A Pictorial Record. Toronto: McClelland and Stewart Ltd. p. 10. ↑ Jasmin, Yves (2012-04-01). "Ce 1er avril 1962: Une nouvelle époque s'ouvre devant Montréal". Carnets de l'Expo (in French). Montreal: Foundation Expo67. Archived from the original on 2012-04-27. Retrieved 2012-04-27. 1 2 "Montreal Gets 1967 World's Fair". The Ottawa Citizen. Ottawa. 1962-11-14. p. 6. Retrieved 2012-04-26. ↑ Beaton, Jessica (2012-10-26). "Shanghai 2010 Expo breaks World Fair attendance record". CNN International. Atlanta. Archived from the original on 2012-04-25. Retrieved 2012-04-25. ↑ Simms, Don; Burke, Stanley; Yates, Alan (1962-11-13). "Montreal gets the call". Did You Know. Canadian Broadcasting Corporation. Retrieved 2012-04-26. ↑ Brown, Kingsley (1963-11-05). "Building the World's Fair". Did You Know. Canadian Broadcasting Corporation. Retrieved 2012-04-26. ↑ Official Expo 1967 Guide Book. Toronto: Maclean-Hunter Publishing Co. Ltd. 1967. pp. 256–258. ↑ "Jasmin to Receive Award". The Montreal Gazette. Montreal. 1967-05-05. p. 15. Retrieved 2012-04-25. ↑ Bantey, Bill (1963-08-13). "Pearson says $50 million federal for World Fair: P.M. calls for talks to guarantee success". The Gazette. Montreal. Retrieved 2013-10-14. 1 2 Rice, Robert (1963-08-13). "Magnitude noted: P.M. urges fair confab". The Windsor Star. Windsor, Ontario. Canadian Press. p. 10. Retrieved 2013-10-14. ↑ Scanlon, Joseph (1963-08-20). "Who'll Pay What? World's Fair still 'bogged down'". The Toronto Daily Star. Toronto. p. 7. ↑ Moore, Christopher (June–July 2007). "An EXPO 67 Kaleidoscope: Ten Scenes from Terre des Hommes". The Beaver: Canada's History Magazine. History Society of Canada. 87 (3). Retrieved 2007-06-06. 1 2 Creery, Tim (1964-03-18). "'Affront to Parliament' Charged by Diefenbaker". The Edmonton Journal. Edmonton, Alberta. Southam News Service. p. 47. Retrieved 2012-04-25. 1 2 Haig, Terry (1966-12-05). "Hey Friend! All That Fanfare Doesn't Make a Hit". The Montreal Gazette. Montreal. p. 10. Retrieved 2012-04-25. 1 2 Maitland, Alan; Alec Bollini (1967-01-02). "Centennial Diary: Expo 67 theme song 'Hey Friend, Say Friend'". CBC News. Montreal. Retrieved 2012-04-26. ↑ "Stampede Parade Highlight Country's Centennial Theme". The Calgary Herald. Calgary, Alberta. 1967-07-04. p. 19. Retrieved 2012-04-25. ↑ Scrivener, Leslie (2007-04-22). "Forty years on, a song retains its standing". The Toronto Star. Toronto. p. D4. Archived from the original on 2012-04-26. Retrieved 2012-04-26. 1 2 Expo 67: Back to the Future... (DVD Video). Toronto: Canadian Broadcasting Corporation. 2004. ↑ Canadian Press (1967-04-26). "Only 24 Hours remain for Expo opening". The Toronto Daily Star. Toronto. p. 48. 1 2 Waltz, Jay (1967-04-28). "Pearson Lights Expo 67's Flame, and a 'Monument to Man' Is Opened; FAIR'S INAUGURAL ATTENDED BY 7,000 Fireworks and Church Bells Mark Island Ceremonies for World Exhibition". The New York Times. New York. p. 1. Retrieved 2012-04-26. 1 2 Expo Bureau (1967-04-28). "The Little Guy Takes Over Expo -- 120,000 of them". The Toronto Daily Star. Toronto. p. 1. ↑ American Press (1967-04-29). "Computer muffs: Busy weekend seen for Montreal's Fair". Spokane Daily Chronicle. Spokane, Washington. p. 2. Retrieved 2012-04-26. ↑ Canadian Press (1967-04-29). "310,00 on Expo's first day". The Windsor Star. Windsor, Ontario. p. 1. Retrieved 2012-04-26. ↑ "Oh those uniforms: From Lamé to Miniskirt". The Montreal Gazette. Montreal. 1967-04-28. p. B-19. Retrieved 2012-04-25. ↑ "Expo 67". Canadian Postal Archives Database. Library and Archives Canada. Retrieved 25 October 2012. 1 2 3 "expovoyages" (Press release). 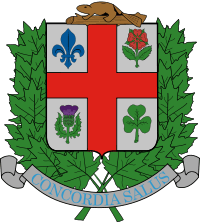 Canadian Corporation for the 1967 World Exhibition. August 15, 1966. Retrieved 2007-06-14. ↑ Back to the Future, clips from the Ed Sullivan show. ↑ "The Canadian Armed Forces Tattoo" The News and Eastern Townships Advocate , 22 Jun 1967. 1 2 "Special Guests". Expo 67: Man and His World. Ottawa: Library and Archives Canada. 2007. Archived from the original on 2012-04-26. Retrieved 2012-04-26. ↑ "1967 Our Summer of Love". The Gazette. Montreal. CanWest MediaWorks Publications Inc. 2007-04-28. Archived from the original on 2012-04-26. Retrieved 2012-04-26. 1 2 3 4 5 6 7 8 Jackman, Peter (1967-10-30). "Expo -- It's All Over After 185 Days, 50 Million Visitors". The Ottawa Journal. 1 2 Pape, Gordon (1967-07-26). "De Gaulle Rebuked by Pearson for Pro-Separatist Remarks". The Gazette. Montreal. p. 1. Retrieved 2012-04-25. 1 2 "Exhibitions Information (1931-2005)". Previous Exhibitions. Bureau International des Expositions. Retrieved 2007-06-04. 1 2 "USSR, Canada, Biggest Attractions". Canadian Press. 1967-10-30. 1 2 3 "Legacy". Expo 67 Man and His World. Ottawa: Library and Archives Canada. 2007. Archived from the original on 2012-04-25. Retrieved 2012-04-25. 1 2 Kelly, Mark (1995-06-05). "Expo 67's U.S. pavilion becomes the Biosphere". Prime Time News. Toronto: CBC News. Retrieved 2012-04-26. 1 2 3 "History". Parc Jean-Drapeau. City of Montreal. 2007. Retrieved 2007-04-30. ↑ "The French and Québec Pavilions". Montreal: Parc Jean-Drapeau. 2012. Archived from the original on 2012-04-26. Retrieved 2012-04-26. 1 2 "Room Rental La Toundra Hall". parc Jean-Drapeau. City of Montreal. 2007. Retrieved 2007-04-29. ↑ "The Canadian pavilion". Buildings With A Tale To Tell. City of Montreal. 2007. Retrieved 2007-04-29. ↑ Semenak, Susan (1985-05-10). "Downtown STOL flights may be back this autumn". The Montreal Gazette. Montreal. p. 1. Retrieved 2012-04-26. 1 2 "Cultural and historical heritage". Montreal: Parc Jean-Drapeau. 2012. Archived from the original on 2012-04-26. Retrieved 2012-04-26. 1 2 TU THANH HA (2007-04-26). "Expo 67 Saw 'The World Coming To Us, In A Joyous Fashion'". The Globe and Mail. p. A3. Archived from the original on September 5, 2007. Retrieved 2009-08-24. ↑ Nestruck, J. Kelly (2011-03-29). "Schwartz's: The Musical: Do you want it on rye or with the singing pickle?". The Globe and Mail. Toronto. 1 2 "Expo 17 Proposal" (PDF). Expo 17. 2007-04-21. Retrieved 2007-05-18. Berton, Pierre (1997). 1967: The Last Good Year. Toronto: Doubleday Canada Limited. ISBN 0-385-25662-0. Official Expo 1967 Guide Book. Toronto: Maclean-Hunter Publishing Co. Ltd. 1967. Roy, Gabrielle; Robert, Guy (1967). Terres des Hommes/Man and His World. Ottawa: Canadian Corporation for the 1967 World Exhibition. Wikimedia Commons has media related to Expo 1967. The Expo 67 miscellany collection at Hagley Museum and Library includes a variety of publications and ephemera associated with the 1967 International and Universal Exposition.